Polished 14k yellow gold. 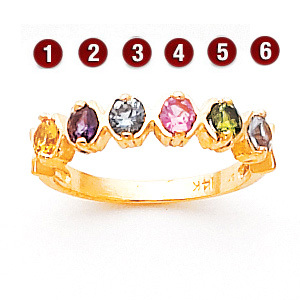 This ring offers stone personalization for six round gemstones. Each gemstone is 2.5mm in diameter. Choose simulated or genuine gemstones. Gold content weighs 2.2 grams. Made in USA.